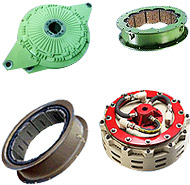 Established in 1994, Airtorq is delhi NCR, india, based industrial brakes and clutches manufacturering company. for the last 20 years we have been have been continually enjoying leading position in our segments and serving plants and machinery like-packaging machines ,caps filling machines, strapping machines punching machine, soldering machine, Metalworking machines, Handling machinery, Printing machinery, rotary press, feed printing machine, Food processing machine ,universal woodworking machine, plywood machine, turning lathe, milling machine, automatic CNC lathe and special purpose machines. Empowered by visionary leadership of Mr. Neresh sharma, quality products and superior service, we have forged strong partnerships with our customers, employees, channel partners and stakeholders, instilling a strong sense of partnership and teamwork engendering continuous growth of our organization. Our unsurpassed quality and timely delivery had earned us repute in the national as well as international markets. Primary Competitive Advantages High Quality, Competitive Prices, And Excellent Services & On-Time Delivery. Primary Competitive Advantages: High Quality, Competitive Prices, And Excellent Services & On-Time Delivery. We have a highly responsible team of quality experts which is highly talented and have vast experience in the field. Our quality process begins with the procurement of raw materials. Each step of manufacturing is closely scrutinized till the final products come out of production. Our quality team is equipped with modern equipment like spectrometers, ultrasonic flaw detectors, hardness and roughness testers, tensile practice testers and surface detectors. Our quality process also comprises of micro structural analysis, inclusion rating, grain growth and high speed balancing machines, etc. that enables to ascertain the quality of products and their raw materials. Our manufacturing setup at Delhi is highly equipped with sophisticated ultra modern equipment and facilities such as CAD and CAM facilities, inspection facilities, surface treatment facilities and Welding facilities. We have a team of professionals that gives us a definite edge over others in the industry. Formed out of the best talents available in the industry, our workforce makes us proud by continually striving to attain excellence in every field we operate. Be it engineering, marketing, or operations; our adept workforce harmonizes efficiency in all our core business activities. We organize regular training sessions for our workforce separately for each department. These training sessions plays a crucial role in developing the individual skills and teamwork. 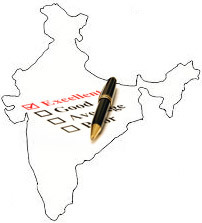 We have a appraisal system that enhances positive competition in our team. India based "Airtorq" is brand name of Airtorq India. Having made its mark in the domestic market as leading manufacturers and suppliers of high quality and competitively priced Industrial Clutchs and Brakes such as Pneumatic Industrial Combination Clutch Brakes, Pneumatic Industrial Drum Clutches and Brakes / Flexible Clutch / Brake, Pneumatic Industrial Drum Clutches And Brakes / Air-cooled Clutch and Brakes, Pneumatic Industrial Multidisc Clutch, Pneumatic Industrial Multidisc Brakes.Know we are focusing our self to develop our brand in countries like., Bhutan, Bahrain, Iran, Cyprus,nepal ,sri lanka,burma. We have always focused on achieving total customer satisfaction by creating customer delight with our value-added services. Our company is not just about making brakes and clutches, its about service at its best. With such steady and ongoing commitment to create a value proposition that's unparalleled in the industry, we are proud to have the faith of a large number of clients in the industry. The vision of our top management has been instrumental in channelizing our energies in a productive manner that has led us to such a position of strength in industry. We are proud to be associated with leading players worldwide. For more please call us - 011-64658047, 27834798. Home | Profile | Products | FAQ | Contact Us | Sitemap | Career Copyright © 2013 airtorq.com, All Rights Reserved.